(BPT) – For parents of children living with diabetes, back to school season includes more than the usual shopping trips for supplies and clothes. Diabetes management is a 24-hour job. During the school year, your child is spending a large portion of their day in class or participating in extracurricular activities. So it’s critical that you feel confident that school staff members are trained and able to support your child’s diabetes care needs. Most of all, you want your child to feel safe while also having access to the same opportunities as their peers. 1. Know your rights. 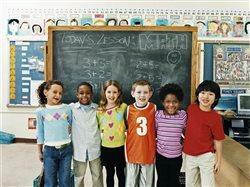 Get the facts about legal protections at school for your child. Federal laws protect children with diabetes from discrimination. Also, many states have laws in place that include additional safeguards to ensure your child has what he or she needs to be safe and healthy. Discrimination can come in many forms — such as not providing your child with access to diabetes care so he or she may safely participate in extracurricular activities or field trips, and not allowing self-management during the school day. Learn more about your state’s laws and whether they offer protections and guidance in addition to federal law at diabetes.org/kidswin. More information about existing legal protections is also available at diabetes.org/safeatschool. 2. Have a written plan. Do you have a Diabetes Medical Management Plan in place for your child? If not, this is a perfect time to ask your child’s health care provider to develop one. Even if you already have a plan, it needs to be reviewed and updated so the school has the correct information. You should also update or develop your child’s Section 504 Plan, which is an accommodations plan developed for students eligible for protections under Section 504, a federal law that prohibits discrimination against people with disabilities. This agreement between the parent/guardian and the school spells out what the school is specifically going to do to make sure your child’s diabetes is safely managed. The plan also identifies who is going to help your child when the school nurse is unavailable. Students who qualify for services under another federal law — the Individuals with Disabilities Education Act — will need to develop an Individualized Education Program (IEP). Both of these plans are developed by a coordinator at your child’s school to create clear lines of communication around individual needs and support for your child, from self-management requirements to snacks and supplies. You should contact your school’s 504/IEP coordinator, who is often a school principal, guidance counselor or teacher, to initiate the process or to update your child’s existing plan. 3. Get to know the school nurse or health coordinator. The school nurse or school health coordinator is usually the primary provider of diabetes care for your child. Be sure your child is comfortable with the school nurse and that you have a good line of communication with the diabetes care team at your child’s school. Provide the necessary supplies, including insulin, glucagon, a “low box” (with glucose tablets or juice boxes) and food, and make sure these supplies are in an accessible location. 4. Make sure staff receives diabetes training. While the school nurse should always be the main point of contact for your child’s diabetes care during the school day, there will undoubtedly be times when the nurse is not immediately available or not on the premises. It is very important that additional school staff is trained by a school nurse or other qualified health professional with expertise in pediatric diabetes to provide assistance. These staff members should understand the daily needs of a child with diabetes, know how to identify a diabetes emergency, administer insulin and emergency glucagon, and know when to seek emergency medical assistance. 5. Advocate for self-management. If your child is able and your child’s health care provider approves, your child should be permitted to monitor glucose levels, administer insulin, and carry the necessary supplies needed to self-manage. You know your child’s self-management abilities best, so coordinate with your school administrator to make sure your child is as comfortable as possible throughout the day. If you don’t feel comfortable and confident in the care your child is receiving at school, if you feel your child is being treated unfairly or if you want help with developing a written plan, contact the American Diabetes Association at 1-800-DIABETES for information and guidance from the Association’s legal advocates.